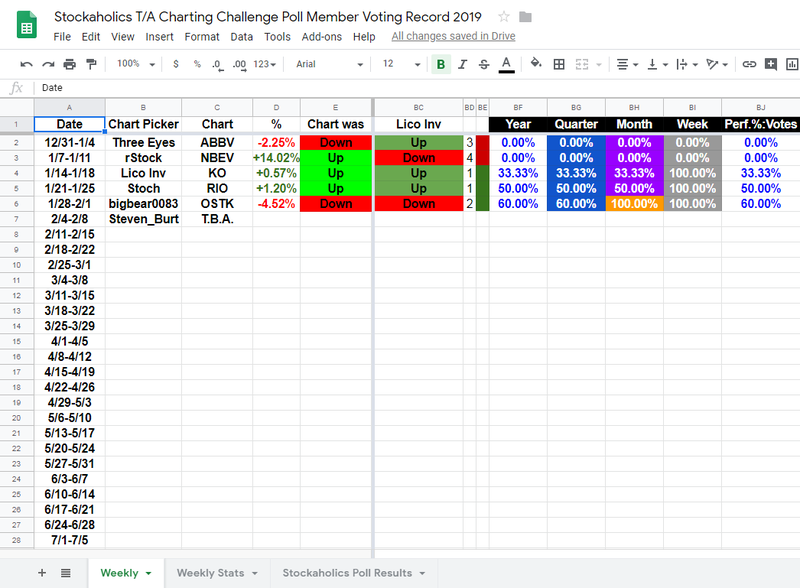 Stockaholics wins 1/2 weekly poll tally this week. Credit goes to the DOWN votes! Longest active weekly winning streak belongs @Lico Inv with 3 straight correct weekly charting direction calls. Best overall weekly poll percentage leader for the year belongs to @bigbear0083, @Onepoint272 and @rStock at 80.00% weekly voting accuracy in 2019. Best overall weekly poll percentage leader for the quarter belongs to @bigbear0083, @Onepoint272 and @rStock at 80.00% weekly voting accuracy this quarter. Most consecutive correct weekly calls in 2019 belongs to @Steven_Burt, @rStock and @Lico Inv with 3 correct weekly calls. Most consecutive correct weekly calls ever belongs to @Steven_Burt with 6 correct picks in 2018-19. @Onepoint272 is our current leaders this quarter with 51 points! Notable mentions to @Lico Inv with the current Stockaholics weekly winning streak high at 3 in a row. Nice job! Fresh new cycle starting from this week! @Steven_Burt yerrr up to bat with this week's TA chart. There was a lot of profit taking on this name after the gap on Friday, and I don't like the fact that it is over extended on the break out. It does have a nice base break out look and a large gap to fill. Going with UP on this one. very interesting pick for this week Steve. good stuff! i have to run right now, so i'll try to edit this post later with more rationale, but in very short i like that gap its now breaking into, but may be a little extended in the very short term and due for a breather after the run its had off the dec. lows. so, i'm thinking down for this week, but longer term out looking good. 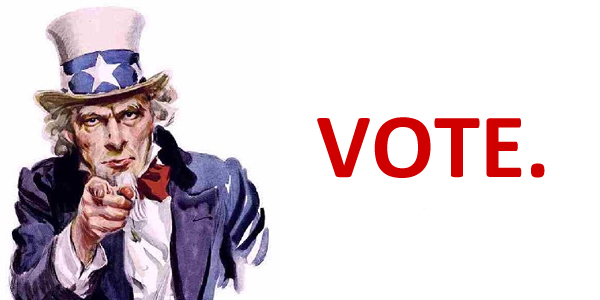 anyway, my vote is down on symc for the week ahead. Monthly chart of relative strength, can see SYMC is not keeping up with the market. 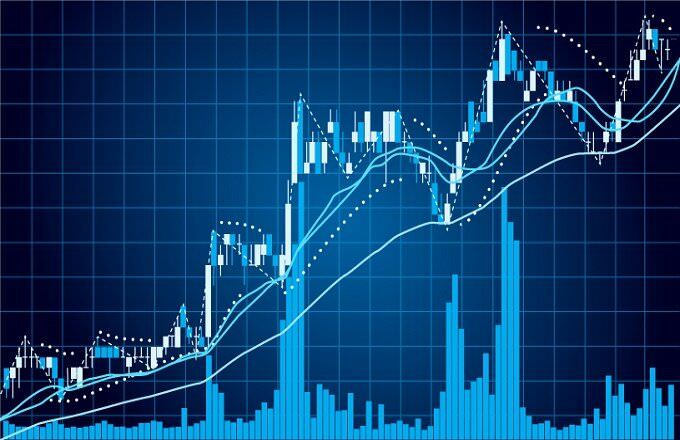 May 2018 the relative strength spiked down to a ~15 year low. So I don't have too much belief in SYMC. I'll vote down. 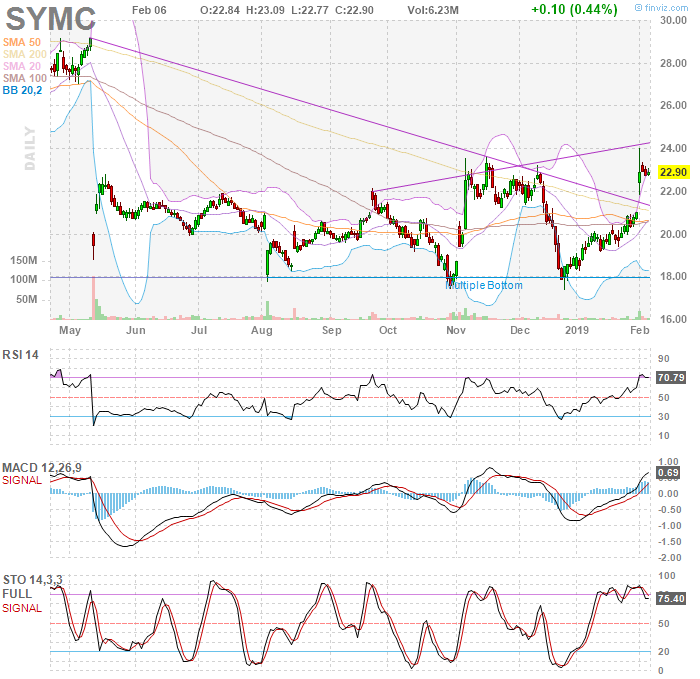 Here's monthly chart of SYMC itself, with its double top. Hasn't really got a good bottom yet. I would be surprised to see it above 25 in next quarter, but if it does I would re-assess. DOWN. Appears like the CM was selling into that ER rally, so I expect it will test lower this coming week. I say that it trends slightly upward, and follows the under-appreciated tech ERs; as it supports those clients.